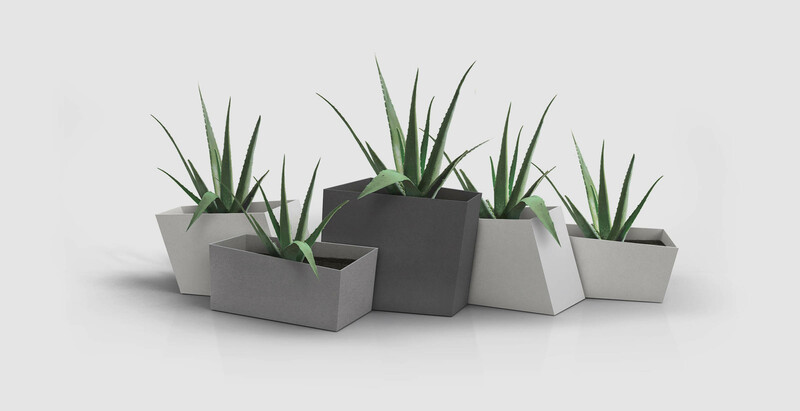 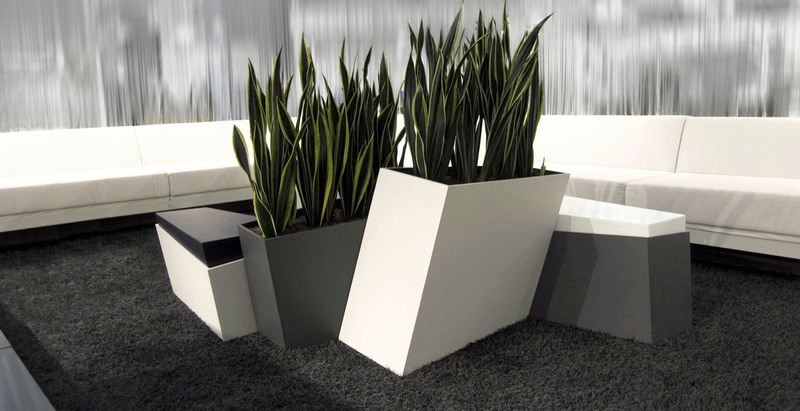 The series Shift is based on three planter elements with different heights, combinable in an infinite number of variations due to the fact that all sides of the element are inclined in the same angle. 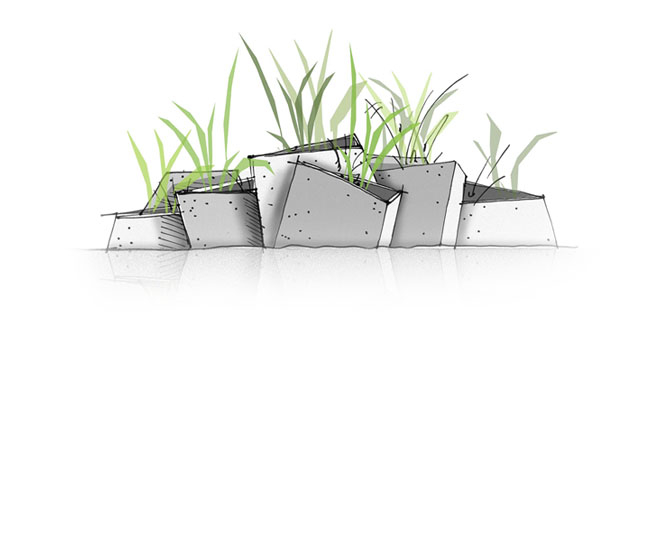 The environmentally friendly cellulose based concrete-material is highly breathable, frost and temperature resistance. 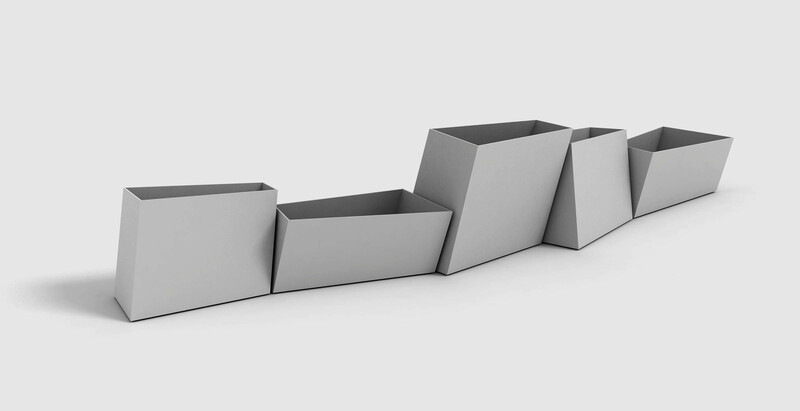 Shift was awarded the 1st price in the Eternit Design Compedition 2008.